Ideally, the fur of cats should lay flat. A soft, bright and silky coat means a cat is in excellent health. If your cat has a coat which is coarse or rough coat which looks unkempt, there might be an underlying issue. But before you start to consider the possible problems, you need to consider a host of other factors. If your cat spends a majority of its time outdoors, it may be an environmental cause. Does your cat stay indoors? If yes, then it could either be physiological as well as physical. So why exactly is your cat’s fur not laying flat? Let us check out some of the common causes. This is probably one of the common reasons why your cat may have a disheveled fur. A diet without the crucial nutrients for your cat is inadequate. If this is the situation, the deficiency of your cat will be evident in its coat as it loses luster. This would make it prone to mating or falling off in dangerous situations. But, the attaining adequate nutrients from meals is not usually because you are feeding it the wrong meal. A cat may be dealing with an issue of malabsorption which means the cells in its body are unable to absorb the nutrients. What this implies is that even if they eat properly, their bodies are not attaining the appropriate nutrients which will reflect on their coats as well. Dermatological issues can also result in your cat’s fur not laying flat and looking rough. A rough coat can arise as a result of an issue with the skin itself. Skin issues like scabies and dermatitis could lead to this. Alopecia, dry skin and dandruff may also come with this rough fur. There could even be injuries in areas where the skin break. There are equally internal diseases which may result in your cat getting rough fur. These could range from cancer, immunodeficiency, and chronic kidney failure. If you observe that the fur of your cat is not lying flat and it is getting damaged, then it may be crucial to head to the vet. The essence of this is to note the issue and start treatment if need be. But, the root cause of rough hair in cats could be as a result of psychological stress. Stress lowers the immune system of a cat and lowers its defenses which leads to hair not laying flat or rough hair. 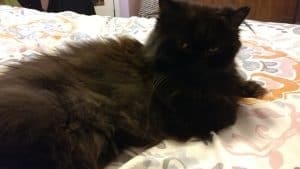 Although cats are great at grooming themselves, there are some kinds of cats which would need frequent grooming from their owners to keep the coat healthy. This could be as a result of their breed. For instance, cats with long hair will need some assistance in keeping their coat healthy and clean. Failure to do this may result in their coat becoming mated and would result in illness as a result of bacteria and parasites. How Do You Care For A Cat’s Fur? To prevent your cat’s fur from having a rough look and ensuring it lays flat, thick and lustrous, there are a few things you can do. You can also use these for daily cat maintenance. Ensure you offer your high-quality cat meals or at least those with adequate nutrient requirements. Lots of brands sold commercially are made to provide your cat with all the critical nutrients which can help develop its immunity and keep its fur healthy. You equally need to consider other factors before you decide the kind of meal you offer your cat. If your cat is old, or a kitten, or perhaps it has issues with digestion or sick, you may have to alter its diet to suit its condition. Parasites like fleas or mites can affect how the fur of your cat looks. They can also have an impact on your cat’s life expectancy. For this reason, it is crucial to deworm your cat at the right time using any product your vet recommends. Also, offering the proper vaccinations at the right time will aid in maintaining the health of your cat and ensuring it has a shiny and beautiful coat. Issues like dermatitis which come from fleas and other parasites make it crucial to deworm when due. It is ideal to brush your cat regularly. This will help you observe when your cat may be dealing with an infestation. Look for damages and get rid of dead hair which can lead to infection. You need to exercise more care in the hygiene needs of your cat as it gets older. This is because they are more vulnerable to issues. Eradicating stress can be a great way of keeping your cat’s fur healthy. Cats love following a routine, so you need to keep them in one. Altering this routine can result in stress, which may make them lash out or develop physical issues like damaged furs. Something as minor can cause stress for your cat, so you need to make sure they are occupied and have an interactive environment. 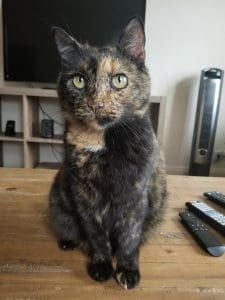 If you look after the mental requirements of your cat properly but are unable to reduce their levels of stress, you may need the services of an expert.